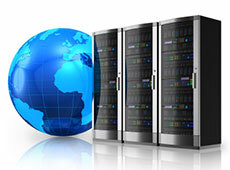 Our Managed Hosting Solution can be customized to your specific business needs. Whether you are looking to host a single site or co-locate an entire infrastructure, Tech Verb can provide you the solution. Tech Verb also offers email only hosting services. All email is filtered by Postini, the nation's largest anti-spam / anti-virus filtering service. Each user has access to fully customizable anti-spam / anti-virus settings. This ensures not having to deal with the annoyance of unwanted email. We house our servers in the nation's newest state-of-the-art Tier-1 data center. With redundant power, air conditioning and internet connectivity, you can rest assured that your site will be safe, secure and always accessible. For more information, please call or email our Sales Team.